We know how important it is to find what you’re looking for fast and effectively. This is the reason why in Flozku you can search for any content from your processes: process instances, fields and their values, references, attachments, tags, description and more. The search bar is located at the top. Simply start writing what you’re looking for. 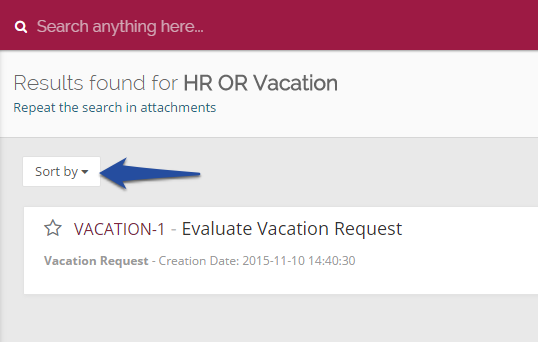 Flokzu also lets you to refine your search results by using search operators. These will allow you to create more precise search criteria. 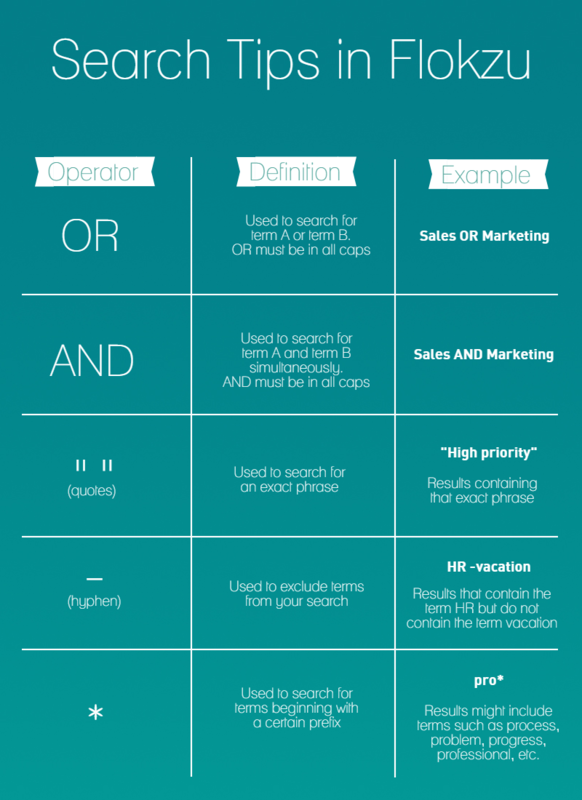 The search operators are words or punctuation marks that you can add to your searches to obtain better results. You can sort the results by Modification date and Identifier. To search in attachments, click on the blue link “Repeat the search in attachments”. Flokzu will look for your terms in the attachment name as well as in the attachment content. Keep in mind that not all users have a permission to export search results. This action is only available for users who have the Administrator or Business Analyst roles.